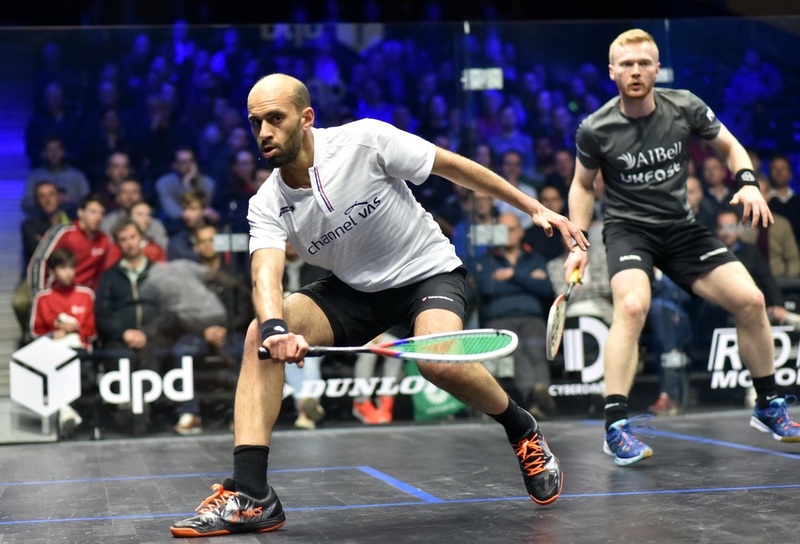 Former World No.1 Mohamed kick-started his DPD Open Squash campaign with a confident 11-5, 11-8, 11-7 victory over World No.36 Chris Simpson in the second round of the event. 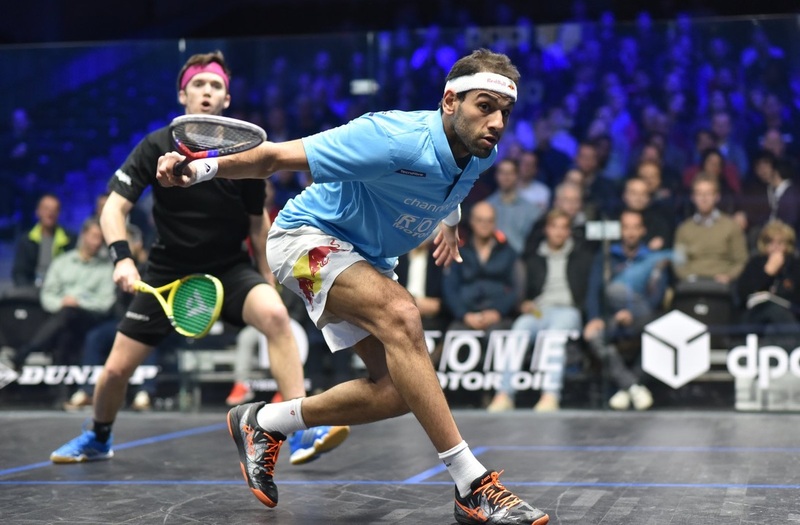 “He played really well,” said 28-year-old Mohamed ElShorbagy following his victory. “He played really accurately, mixing the pace well and put me under pressure at times. “Joel has been playing at a top ten level,” said 25-year-old Marwan. “He has beaten the World No.1, he has beaten a few players inside the top ten so I knew that this match was probably going to be the toughest second round match I could have got. Egypt’s World No.6 Gawad held off a late charge from dynamic Frenchman Marche to reach the last eight in five-games, while Coll displayed a confident performance to down Kandra in straight games. Former World No.1 Laura Massaro narrowly avoided defeat against Canada’s Hollie Naughton after the Englishwoman found herself trailing 2-0 in games. 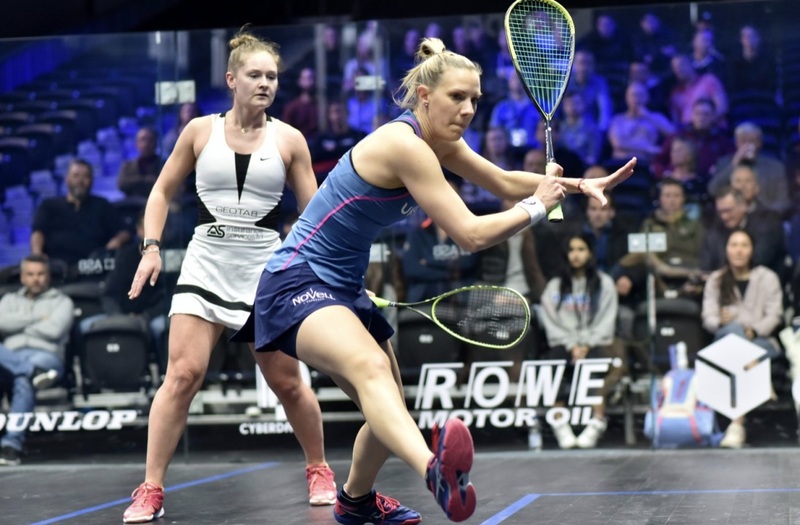 Massaro was forced to call upon all of her resilience to find a way back against surprise package Naughton, who played some of her best squash in the opening two games. However, Massaro clawed her way back to win 8-11, 8-11, 11-8, 11-8, 11-7 in 49 minutes. She will now face France’s World No.4 Camille Serme in the quarter-finals after the Frenchwoman defeated Egypt’s Yathreb Adel in four games in the first match of the day.